· "The Death of Irony" - Poem by Gary Lucas originally published in The Forward, Nov. 9th 2001, in a special section devoted to Jews in the Arts and their response to the tragedy of Sept. 11th. Gary's poem appeared alongside work by David Mamet and Israel Horowitz. 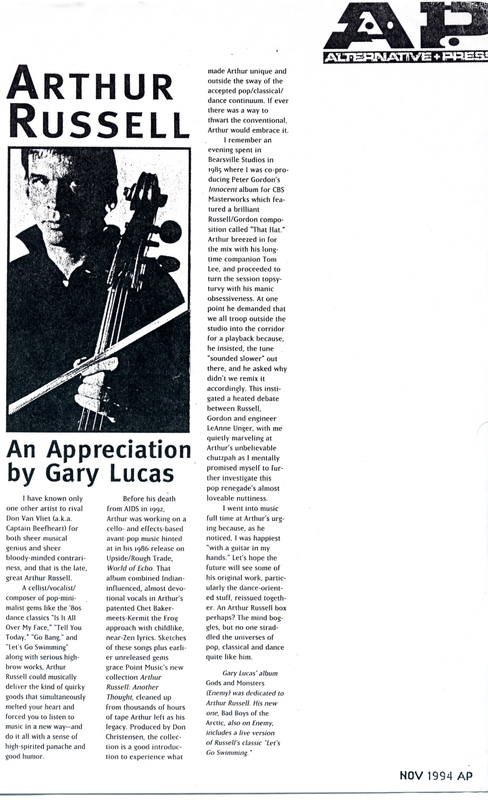 · "Arthur Russell—An Appreciation" - Originally ran in the November 1994 issue of Alternative Press. A tribute to Gary's good friend, the late great musical genius who tragically died of AIDS in 1992. 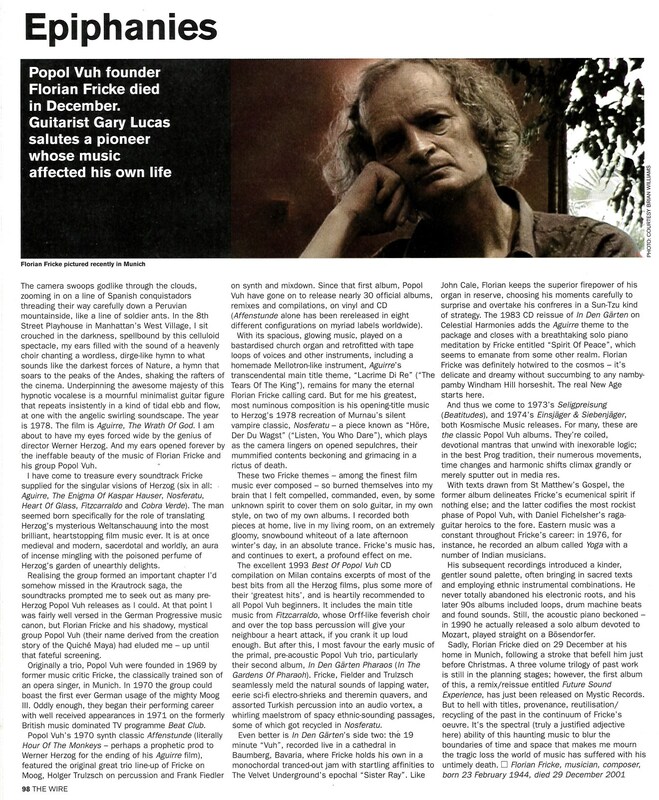 Gary dedicated his 1992 album "Gods and Monsters" to Arthur.